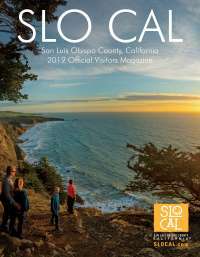 Film SLO CAL is your resource for film permitting information in San Luis Obispo County. We understand that obtaining a film permit in a timely manner is essential to meet your production deadlines. At Film SLO CAL, we can quickly direct you to the respective permitting agencies for your selected locations, resulting in a quick turnaround time and streamlined process. Each jurisdiction in San Luis Obispo County has its own special permitting requirements, and we are here to help navigate you through the process. Your shoot is extremely important to us as we work closely with you and the permitting agencies to obtain a successful outcome. Permitting fees, processing times and requirements vary from jurisdiction to jurisdiction. We encourage you to contact the appropriate permitting area early in the pre-production stages for detailed information and to ensure you have the proper permits in-hand by the time of production. Please allow at least five to seven business days at a minimum for most permits to process. Filming on private property? No problem! Most cities in San Luis Obispo County do not require filming permits on private property. If you are hoping to film on private property and would like some guidance as to what each city requires as best practices, please contact us at Film@FilmSLOCAL.com. Below you will find a list of contacts for each City, State and National permitting district.